Are you there WordPress? It's me, Michael. Look, I've been trudging through your serviceable interface on seven different websites, day in and day out, for half a decade now. And while I think that it's really cool that you're adding the ability to update my Gravatar icon from the mobile app, we need to have a serious discussion about your image tools. Specifically, about the mind-numbing, head-bashing, eye-gouging awfulness of your image tools. No? 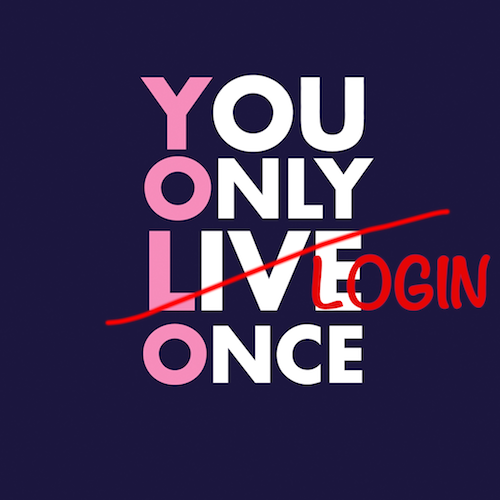 We're going to talk about passwords instead? Ugh. Fine. Android's Smart Lock is a great way to save a little hassle when users are around familiar locations or connected devices. 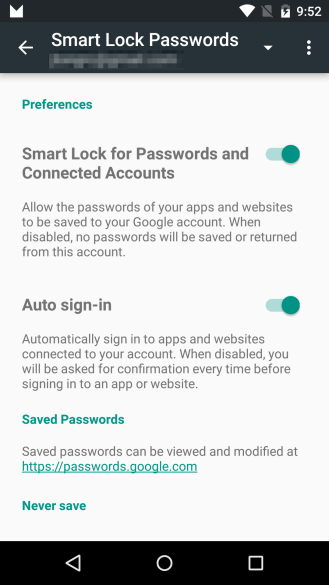 The default system version of the feature skips the lockscreen when the phone or tablet detects that it's in a safe location, and last year Google did much the same thing for apps, essentially turning Smart Lock into a password manager for supported applications. While Netflix has supported this feature for months on its standard Android app, the latest update to the Android TV version brings it in line. 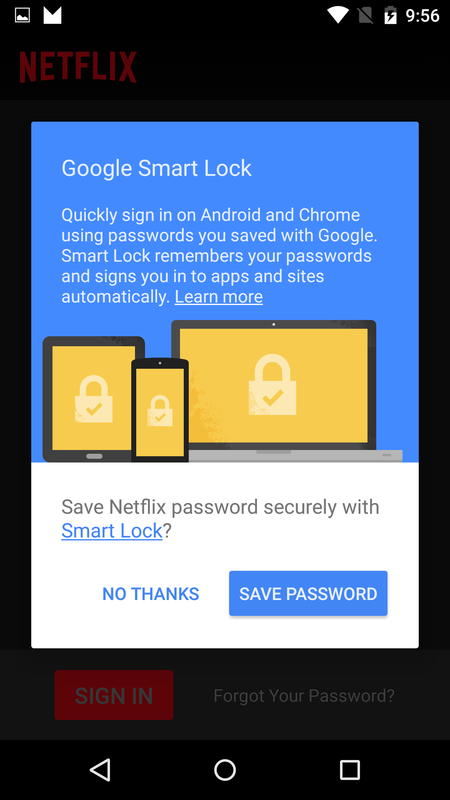 To see Smart Lock in action, make sure that you already have your Netflix username and password saved in Smart Lock on a phone or tablet - if it's been a while, you may need to log out on your phone, then log back in and enable the Smart Lock feature when it appears. 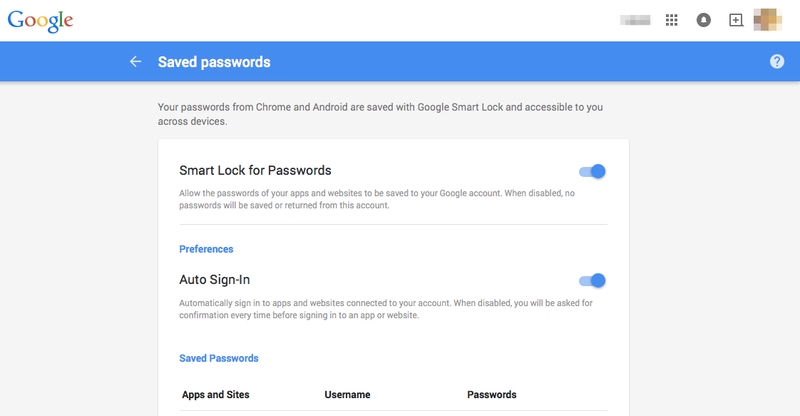 Buried in the newly-located Google settings is a curious area called "Smart Lock Passwords." 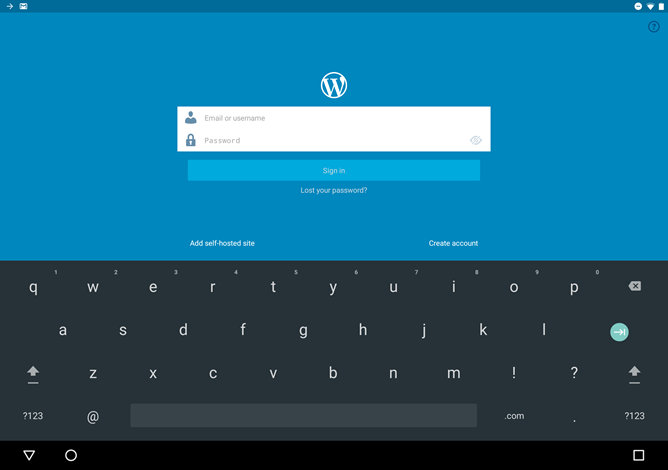 While it doesn't make its function very clear, once you try to sign in with one of the supported apps, it gets much more obvious. 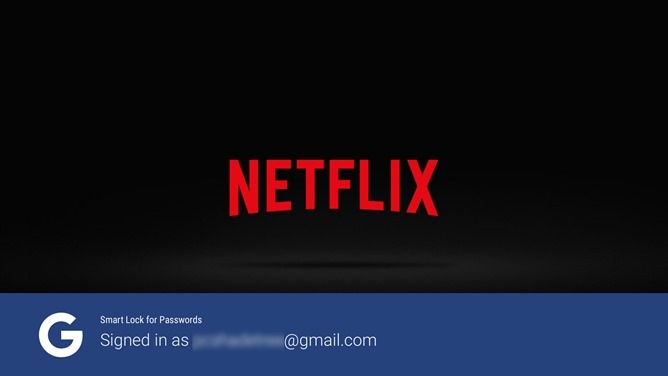 Take, for instance, Netflix, one of this feature's launch partners. 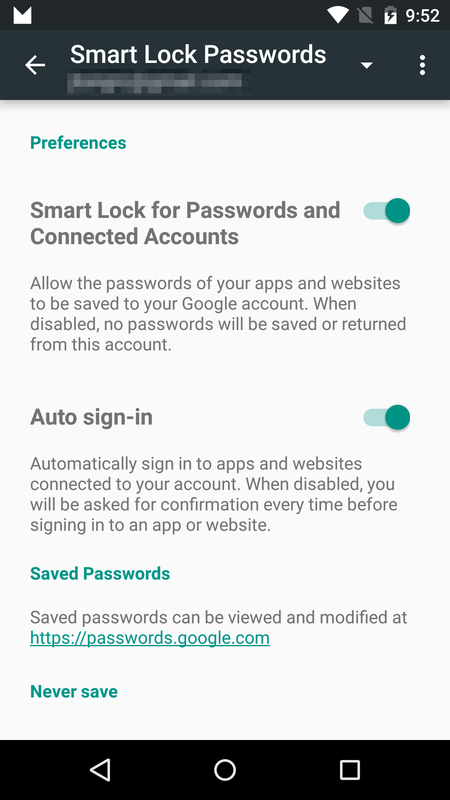 After signing in as you would normally, Smart Lock will ask if you'd like to store your password for future use. Now, at this point, you haven't really seen the fun part. 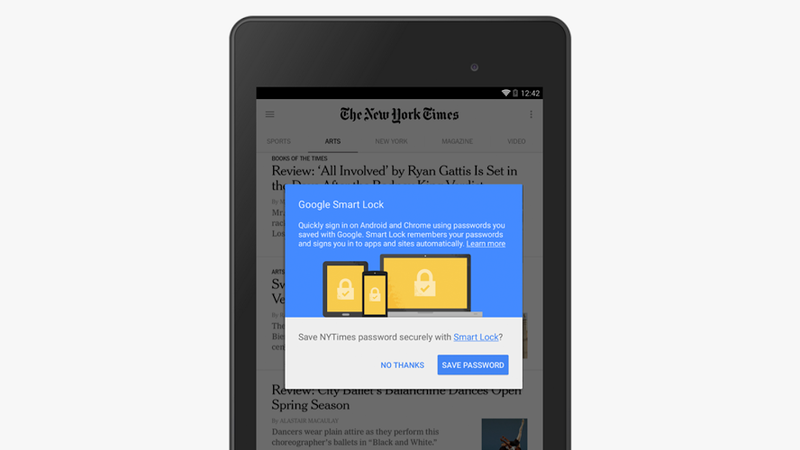 Storing passwords is one thing, but making them useful is another. To demonstrate, I uninstalled the Netflix app and then opened it for the first time.